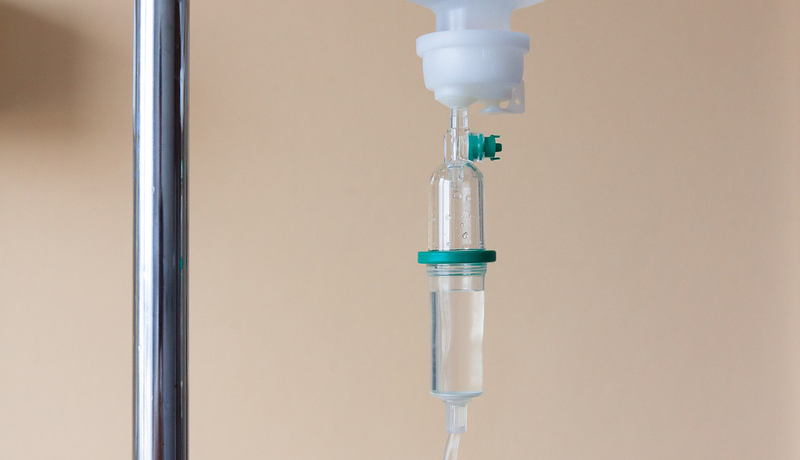 <h2>Chemotherapy could work twice as well if given at the right time</h2><br /><p>Many of the biological processes in our bodies, from body temperature to hormones to cell division, operate in cycles known as circadian rhythms, peaking at certain times of the day or night and declining at others. All these different fluctuations are synchronised by a master pacemaker in the brain, which acts like an orchestra conductor to ensure that everything happens at the right time in each cell.</p> <p>Because of this cycling of your body’s systems, from liver function to your immune system, your body responds to medicines differently throughout the day. At certain times, a given drug may be more aggressive towards a disease and cause fewer side effects to the person taking it.</p> <p>‘Chronotherapy involves the delivery of treatments according to biological rhythms,’ said Francis Levi, professor in biomedicine at Warwick Medical School, UK, who also treats cancer patients at the Paul Brousse Hospital in Villejuif, France. He is one of the pioneers of chronotherapy and has received a number of EU grants for his work.</p> <p>Prof. Levi works with people with colorectal cancer and has previously shown that adjusting the timing of chemotherapy can prolong survival rates by three months in men, although they haven’t shown the same effect for women.</p> <p>However, he has since discovered that circadian clocks can vary widely in people with colorectal cancer, and so the key could be to personalise the drug timetable.</p> <p>‘There is an average optimal timing but this is only an average,’ he said. ‘In terms of timing drugs according to circadian rhythms, we need to consider how the circadian timing system of an individual is working.’</p> <p><strong>Six-hour shift</strong></p> <p>Prof. Levi has discovered that, while 50 % of people with colorectal cancer have a body clock that operates similarly to those in healthy people, the other half’s clocks have shifted so that their cycle begins up to six hours earlier or six hours later. That means that while the optimal time to give an anticancer drug could be 4 am on average, as it is the case for the drug 5-fluorouracil, for some people it will work better at 10 pm, whereas in others it would work better at 10 am.</p> <p>Using a combination of clinical data from patients and mathematical modelling, Prof. Levi projects that chemotherapy could be twice as effective if given to patients with colorectal cancer at the right time of the day. He has already run trials that have shown that correct timing increases the patient's ability to tolerate the drug by up to five times.<br /> <div class="quote-view quotesBlock quote_vertical_right"> <div class="quotesTop"><img src="https://horizon-magazine.eu/sites/all/themes/horizon/images/quotes_top.png" alt="" title="" /></div> <p>‘Chronotherapy involves the delivery of treatments according to biological rhythms.’</p> <blockquote><p>Prof. Francis Levi, University of Warwick, UK</p></blockquote> <div class="quotesBottom"><img src="https://horizon-magazine.eu/sites/all/themes/horizon/images/quotes_bottom.png" alt="" title="" /></div> </div> </p> <p>Now, Prof. Levi’s team is equipping people with wearable sensors so they can track indicators such as body temperature and the rest-activity cycle to understand how that person’s body clock is functioning. This will help them determine if a patient’s timing deviates from the norm and allow them to create a personalised timetable of treatment.</p> <p>He also hopes that tracking patient rhythms in this way can help them cut down on doctor visits. In an EU-funded study called INCASA, Prof. Levi and other researchers found that disruption in someone’s rest-activity cycle was a key predictor of emergency hospitalisation. Monitoring their cycle and intervening if a disruption is spotted could therefore help them stay at home.</p> <p>Prof. Levi says that this kind of personalised approach, along with technological developments such as so-called programmable-in-time pumps that can deliver a course of drugs to a specific timetable, could increase the use of chronotherapy in cancer treatment.</p> <p>‘We are doing chronotherapy on a routine basis at the Paul Brousse Hospital, but it’s one of the few places where this is done for the moment,’ he said. ‘One of the things which lets me think that there will be many more in the future is, first of all, our understanding of chronotherapy has improved dramatically over the past 10 years, but also the technology which enables its proper delivery is making extraordinary progress, and we are planning to start chronotherapy soon in the UK as well.’</p> <p><img class="@aligncenter@" title="Hormones and bodily processes demonstrate cyclical patterns over 24 hours. Image based on data from article 'Intermittent Fasting and Human Metabolic Health' by Patterson, Laughlin, Gallo &amp; Villaseñor" src="/sites/default/files/Horizon-around_the_clock-3-72dpi_0.jpg" alt="Hormones and bodily processes demonstrate cyclical patterns over 24 hours. Image based on data from article 'Intermittent Fasting and Human Metabolic Health' by Patterson, Laughlin, Gallo &amp; Villaseñor" width="983" height="880" /></p> <p><strong>Cancer clocks</strong></p> <p>While Prof. Levi is working out how to treat cancer based on the patient’s body clocks, other researchers have been looking at whether cancer cells have their own timing systems and if these could be used to fight the disease.</p> <p>In 2014, Dr Maria Comas Soberats, now working at the University of Sydney, Australia, published a paper which showed that sarcoma (a type of cancer) cells have an internal timing system which coordinates with the patient’s body.</p> <p>‘It’s important for both normal and cancer cells to have a clock and be synchronised with the rest of the body so it knows when there are nutrients available,’ she said.</p> <p>Her paper was the result of an EU-funded project called CANCERTIME, during which she also found that drugs that encourage cell death are more effective on cancer cells in mice during the morning – the time when they normally go to sleep – than in the evening.</p> <p>However, Dr Comas says that more work needs to be done to promote a chronotherapeutic approach in cancer. ‘Cancer is really a very hard field to make an impact with chronobiology,’ she said. ‘Yes, it’s interesting but with cancer there are so many things going wrong that people are more interested in other aspects. More data using personalised chronotherapeutical approaches showing clear positive results in humans will be definitive to engage physicians to start thinking about the time of day at which treatment is provided.’</p> <br /> <img src=”http://www.google-analytics.com/collect?v=1&tid=UA-40077089-1&cid=chemotherapy-could-work-twice-as-well-if-given-at-the-right-time&t=event&ec=republish&ea=read&el=chemotherapy-could-work-twice-as-well-if-given-at-the-right-time&cs=republish&cm=republish&cn=republish&cm1=1" /> This post <a href="https://horizon-magazine.eu/article/chemotherapy-could-work-twice-well-if-given-right-time.html">Chemotherapy could work twice as well if given at the right time</a> was originally published on <a href="https://horizon-magazine.eu/">Horizon: the EU Research &amp; Innovation magazine | European Commission</a>. The anti-tumour properties of chemotherapy drugs could work twice as well if you take them at times when the body is most receptive, but that means different timetables for different people, according to researchers working to understand how to use the body’s daily rhythms to make medicine optimally effective and reduce unpleasant side effects. Many of the biological processes in our bodies, from body temperature to hormones to cell division, operate in cycles known as circadian rhythms, peaking at certain times of the day or night and declining at others. All these different fluctuations are synchronised by a master pacemaker in the brain, which acts like an orchestra conductor to ensure that everything happens at the right time in each cell. Because of this cycling of your body’s systems, from liver function to your immune system, your body responds to medicines differently throughout the day. At certain times, a given drug may be more aggressive towards a disease and cause fewer side effects to the person taking it. ‘Chronotherapy involves the delivery of treatments according to biological rhythms,’ said Francis Levi, professor in biomedicine at Warwick Medical School, UK, who also treats cancer patients at the Paul Brousse Hospital in Villejuif, France. He is one of the pioneers of chronotherapy and has received a number of EU grants for his work. Prof. Levi works with people with colorectal cancer and has previously shown that adjusting the timing of chemotherapy can prolong survival rates by three months in men, although they haven’t shown the same effect for women. However, he has since discovered that circadian clocks can vary widely in people with colorectal cancer, and so the key could be to personalise the drug timetable. Prof. Levi has discovered that, while 50 % of people with colorectal cancer have a body clock that operates similarly to those in healthy people, the other half’s clocks have shifted so that their cycle begins up to six hours earlier or six hours later. That means that while the optimal time to give an anticancer drug could be 4 am on average, as it is the case for the drug 5-fluorouracil, for some people it will work better at 10 pm, whereas in others it would work better at 10 am. Using a combination of clinical data from patients and mathematical modelling, Prof. Levi projects that chemotherapy could be twice as effective if given to patients with colorectal cancer at the right time of the day. He has already run trials that have shown that correct timing increases the patient's ability to tolerate the drug by up to five times. Now, Prof. Levi’s team is equipping people with wearable sensors so they can track indicators such as body temperature and the rest-activity cycle to understand how that person’s body clock is functioning. This will help them determine if a patient’s timing deviates from the norm and allow them to create a personalised timetable of treatment. He also hopes that tracking patient rhythms in this way can help them cut down on doctor visits. In an EU-funded study called INCASA, Prof. Levi and other researchers found that disruption in someone’s rest-activity cycle was a key predictor of emergency hospitalisation. Monitoring their cycle and intervening if a disruption is spotted could therefore help them stay at home. Prof. Levi says that this kind of personalised approach, along with technological developments such as so-called programmable-in-time pumps that can deliver a course of drugs to a specific timetable, could increase the use of chronotherapy in cancer treatment. While Prof. Levi is working out how to treat cancer based on the patient’s body clocks, other researchers have been looking at whether cancer cells have their own timing systems and if these could be used to fight the disease. In 2014, Dr Maria Comas Soberats, now working at the University of Sydney, Australia, published a paper which showed that sarcoma (a type of cancer) cells have an internal timing system which coordinates with the patient’s body. ‘It’s important for both normal and cancer cells to have a clock and be synchronised with the rest of the body so it knows when there are nutrients available,’ she said. Her paper was the result of an EU-funded project called CANCERTIME, during which she also found that drugs that encourage cell death are more effective on cancer cells in mice during the morning – the time when they normally go to sleep – than in the evening.